Instagram may be among the most widely adopted imaging social networks, but there’s a limitation to the app’s presentation, especially if you often move back and forth between mobile devices and a desktop or laptop computer. Sure, Instagram itself offers a more or less serviceable desktop functionality, but it lacks a certain intuitiveness and ease of use, not to mention charm and style. And that’s where Grids, a new Instagram client app from Think Time Creations that just hit the Mac App Store, comes into play. 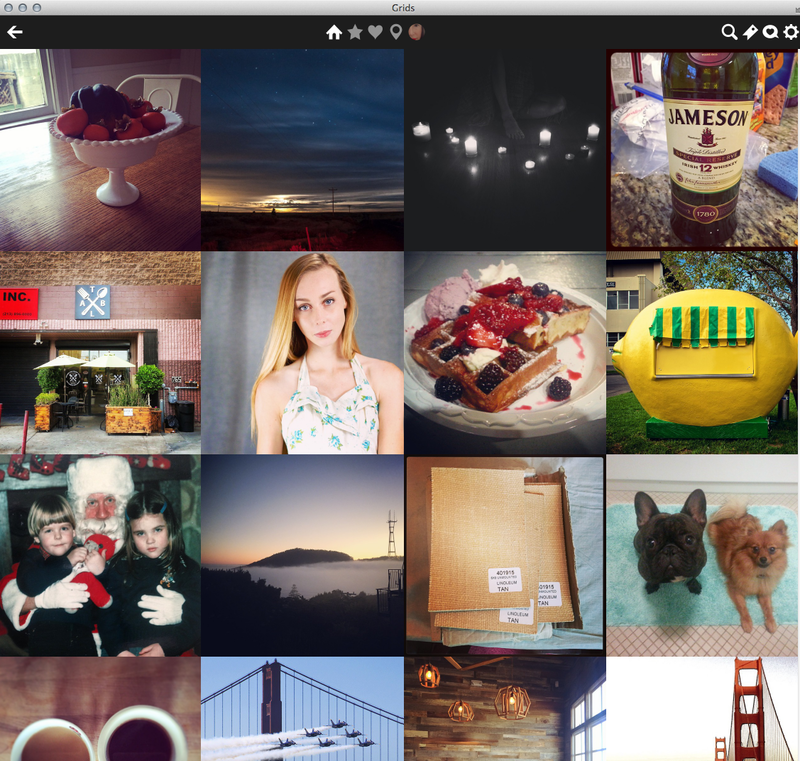 If you value the look of your Instagram feed and often check it out on the desktop, the makers of Grids are betting that it will be worth $1.99 to you to see all entries in a clean, flexible interface that works with any size screen and full screen mode and supports Retina displays. The difference is the ability to view all the images end-to-end without distracting white space, or set parameters like image size, image spacing, and background color to your own vision. A top icon bar facilitates all functions: It lets you click to switch between your feed, popular entries, favorites, images shot nearby and your own collection. You can, of course mark favorites, make comments and follow people. It will even notify you when new entries are posted to your feed. From the main bar you can also search for users and hashtags and bookmark people, locations, hashtags and individual photos and videos without having to follow anyone. You can also see who followed you and what your contacts have been viewing, commenting on and marking as favorites. 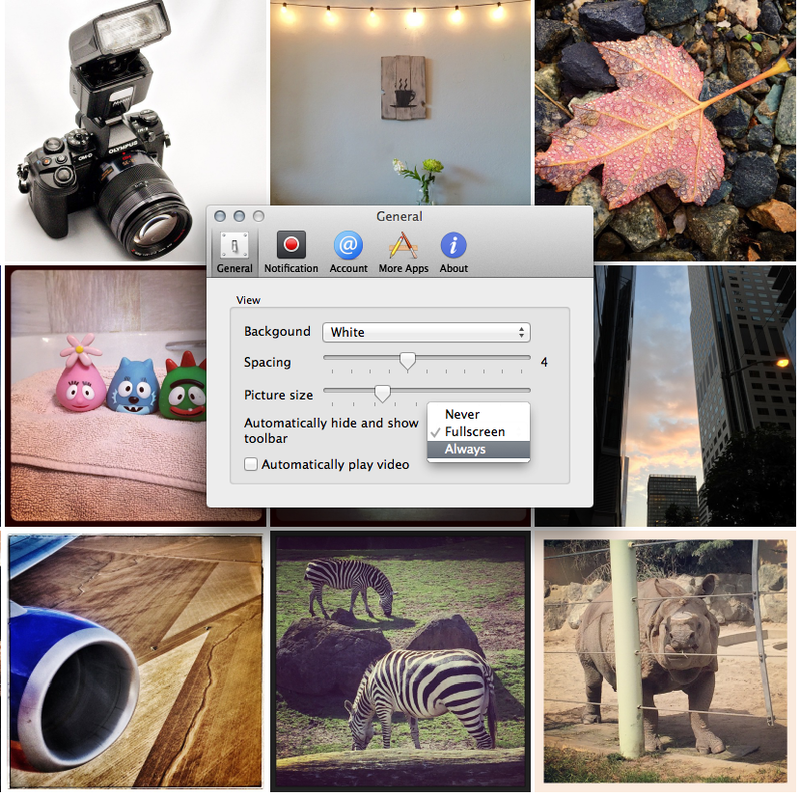 Grids provides a sleek and streamlined way to work with Instagram while enhancing the beauty of its images. While the app doesn’t let you upload images to Instagram, it’s a better way to experience the photos you and others have already uploaded. 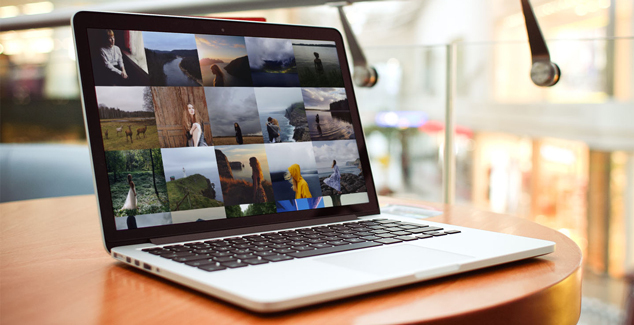 Grids works with OS X 10.7 and higher and will be compatible with Yosemite.